God’s Spirit within us is the pledge, the deposit, the down payment, guaranteeing all that God will be to us and do in us. This includes the redemption of our mortal body, then our participation in the kingdom age, and ultimately our participation in New Jerusalem. The Spirit as the guarantee is also the Spirit as the firstfruits, the foretaste of our full enjoyment of all of God’s riches. At present our realization and appreciation of what God in Christ is to us is limited. The limiting factor is our fallen body, our flesh, in which nothing good dwells (Rom. 7:18). This limitation is the reason for the groaning in Romans 8:23. Another limitation is our mind, to the extent it has not yet been renewed by the Spirit. 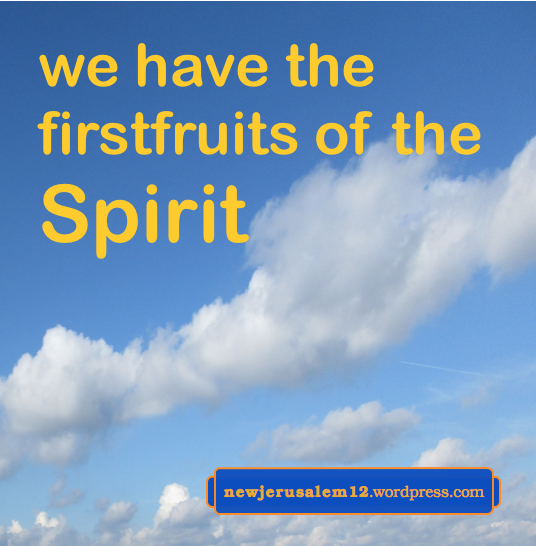 While we are groaning we also are partaking of the firstfruits of the Spirit. This Spirit is not only a guarantee of the coming riches but He is also our current foretaste of these riches. 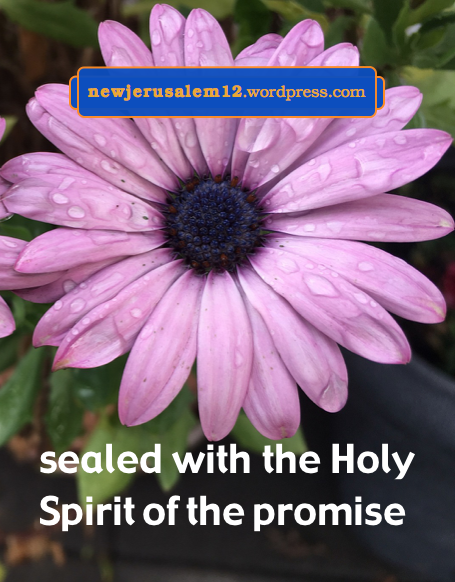 This foretaste gives us confidence for our fuller participation in God’s riches during the coming age and the fullest participation in New Jerusalem. Ephesians 1:4 tells us that God “chose us in Him before the foundation of the world to be holy and without blemish before Him in love.” This choosing was in eternity, before sin and any kind of corruption. 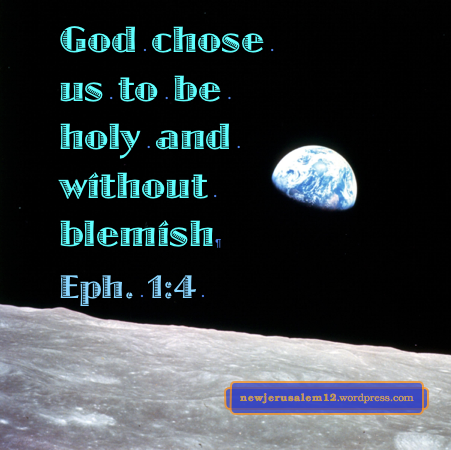 This eternal choosing points to New Jerusalem, which is holy, without blemish, and in love. Although sin death entered and humanity is extremely blemished, Jesus Christ is working to erase all blemishes. Ephesians 5:25-27 says that He “loved the church and gave Himself up for her” to accomplish redemption; that He is now working to “sanctify her [the church], cleansing her by the washing of the water in the word” so that when He returns “He might present the church to Himself glorious, not having spot or wrinkle or any such things, but that she would be holy and without blemish.” This is the preparation of New Jerusalem. By His work on the cross, in us today, and at His return, the church will be holy and without blemish, matching God’s eternal choosing. This holy church, as His bride, New Jerusalem (Rev. 21:2), will be without spot, without wrinkle, and without blemish. Paralleling Ephesians 5, Jude 24 speaks of “Him who is able to guard you from stumbling and to set you before His glory without blemish in exultation.” In New Jerusalem we will be with glory and without blemish. To Him be thanksgiving and praise. 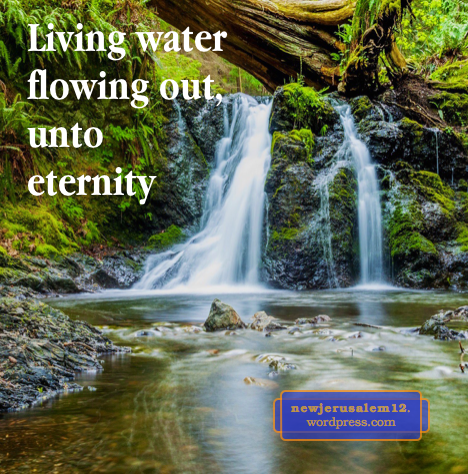 Living Water Flowing Out unto Eternity! John 7:38 records the Lord Jesus telling us, “He who believes into Me, as the Scripture said, out of his innermost being shall flow rivers of living water.” John explains in verse 39a, “But this He said concerning the Spirit, whom those who believed into Him were about to receive.” This promise is fulfilled now in our Christian life; since the resurrection of Jesus Christ, everyone who believes receives the Spirit who flows as living water. In Revelation 22:1 the apostle John tells us “he [an angel] showed me a river of water of life, bright as crystal, proceeding out of the throne of God and of the Lamb in the middle of its [New Jerusalem’s] street.” This is the eternal fulfillment of John 7:38-39. This post is the overflow of a recent morning’s singing of praise to the Triune God as the flowing eternal life. Verses 1 and 6 (below) speak of this flow unto and thru all eternity. This immediately reminded me of New Jerusalem and Revelation 22:1. Verse 7 (also below) speaks of our singing and ever praising the Triune God. This praising, like the flowing, is characteristic of New Jerusalem. ____Divine, and rich and free! ____And e’er would praise Thee thus. The love of God, the grace of Christ, and the Spirit’s flowing free are with us to be appreciated by us both today (2 Cor. 13:14) and in New Jerusalem. This is spoken to the Son, who is God in His divinity. 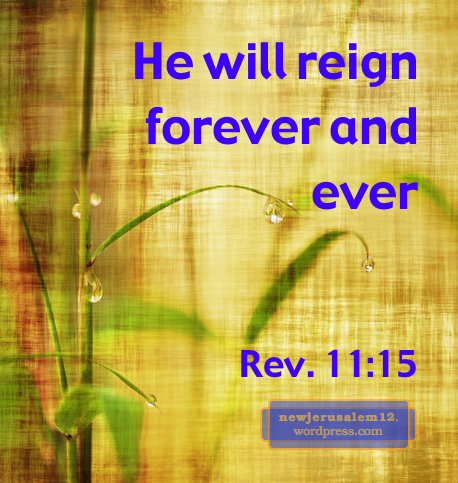 His throne, the throne of New Jerusalem, is eternal, forever and ever. His reign is eternal and full of uprightness. This matches 2 Peter 3:13 which tells us that in the new heaven and new earth righteousness dwells. His eternal reign is also in Revelation 11:15, “the seventh angel trumpeted; and there were loud voices in heaven, saying, The kingdom of the world has become the kingdom of our Lord and of His Christ, and He will reign forever and ever.” This forever-and-ever reign points to New Jerusalem. “Our Lord and His Christ” indicates two, but is followed by “He will reign” indicating one. The Triune God is three yet one. 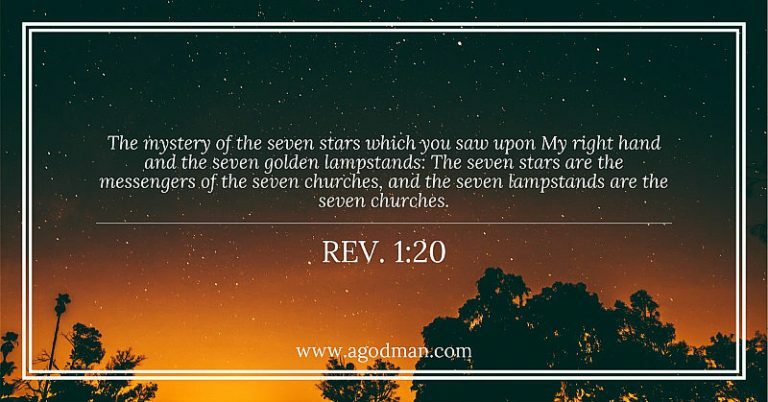 This matches the wording in Revelation 22:1 (and 22:3)—in New Jerusalem is “the throne of God and of the Lamb”—one throne for two, with the third, the Spirit, flowing forth as the river of water of life. The last part of Revelation 22:5 says more about this eternal reign. “And they will reign forever and ever.” “They” are God’s slaves mentioned in verse 3. We reign forever and ever by being one with the Triune God who reigns forever and ever. We are slaves, yet we reign. Today we can reign in the life which is the Lord Himself within us (Rom. 5:17); in New Jerusalem we will reign, still in this life, in a fuller way. Acts 26:18 records six aspects of the heavenly commission from the Lord Jesus to Paul. The last is that we receive an inheritance. As with all five prior aspects, the consumma-tion of the inheritance is with New Jerusalem. This inheritance comes to us in three stages—in this age, in the age that begins with the Lord’s second coming, and in eternity in New Jerusalem. The New Testament primarily speaks of the inheritance in the kingdom age and in eternity. 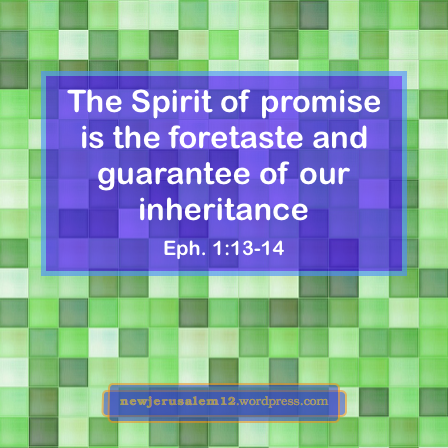 Nevertheless, Ephesians 1:14 says that the Spirit “is the pledge of our inheritance.” This pledge is a guarantee. It is also a sample, giving us a present taste of the coming inheritance. The Spirit Himself, as our realization of the Triune God, is the sample, indicating that the Triune God is the fullness of our inheritance. Also, Galatians 3:14 speaks of our receiving the blessing of Abraham, which is the promised Spirit. The promise is of God (v. 16), it is also God’s covenant (v. 17), and it is our inheritance (v. 18). This is the Spirit flowing as the river of life in New Jerusalem. In Revelation 21:7 the Lord tells us, “he who overcomes will inherit these things.” This is in the context of the Lord describing Himself and describing New Jerusalem. Hence, the Lord Jesus Christ as the reality of everything in New Jerusalem and as the embodiment of the Triune God is our inheritance. An overall definition:* This inheritance is the Triune God Himself with all He has, all He has done, and all He will do for His redeemed people. The Triune God is embodied in the all-inclusive Christ (Col. 2:9), who is the portion allotted to the saints as their inheritance (Col. 1:12). Ultimately this inheritance is the Triune God in New Jerusalem allotted to us. * From footnote 6 on Acts 26:18 in NT Recovery Version Online.